Finally, team India has returned to the Test competition. Earlier, they faced defeat in first two Test against England consecutively but later India won 3rd Test by 203 runs against England. So, now the Test series have come to the competing level. India won one match and England won two matches. There are still two Test matches in hand and India has to win both of them to secure the series. On the other hand, England is in a little better condition than India. They have to win one more match to secure the series. Earlier this two most superpower teams played a T20I and an ODI series where each series consisted of three matches. India started the competition with T20I series and won it. But team England took proper revenge on them by winning the ODI series. Now, they are playing the main competition which is the Test series. 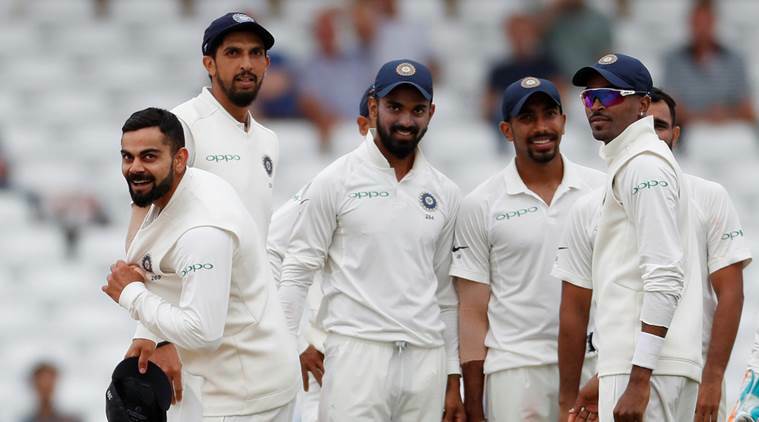 Team India is recently traveling England as we speak and according to ICC schedule, they are now in dual competition against England where ECB has arranged a home tournament. In 18th August, 2018 the 3rd Test between India and England started and the hosting venue was Trent Bridge in Nottingham. Local team England won the toss and decided to bowl first but that was a wrong decision. The crease was batting favoured at the beginning but later, it was turned to the bowling favoured. With the leading score of Indian skipper Virat Kohli, they scored 329 runs in their first innings. Besides, Rahane scored 81 more runs which was the second highest for Men in Blues. They did play 94.5 overs in the first innings where James Anderson took highest three wickets for English team. Later, team England came to bat for the first innings. They played just 38.2 overs and scored 161 runs. Their highest scorer was Buttler who scored 39 runs so far. Besides, opener Cook scored 29 runs so far. Indian bowler Pandya took five wickets highest for the team. Later, India came to bat for the 2nd innings. This time Virat Kohli made a century and once again he led his team from the front. He scored highest 103 runs where Pandya scored 52 runs and Pujara scored 72 runs so far. In their 2nd innings by losing seven wickets they scored 352 runs and declared the innings. Rashid took three wickets highest for England. Then England came to bat for 2nd innings and Buttler made a century. He scored 106 runs highest where Stokes added 62 runs and Rashid scored 33 runs so far. But they failed to chase the score this time and faced defeat in 3rd Test. Scoring 317 runs they lost all wickets.